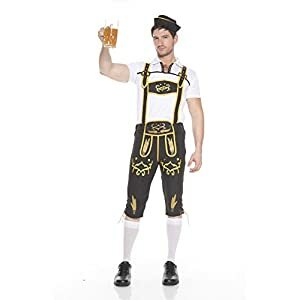 Blue satin and velvet dress has authentic Bavarian embroidery. 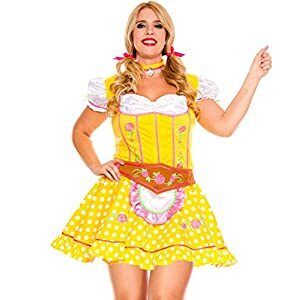 Includes ruffled apron with bow and hair bows. 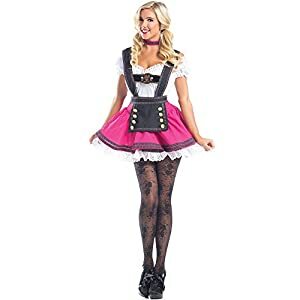 Beer stein, thigh highs and stocking bows not included. 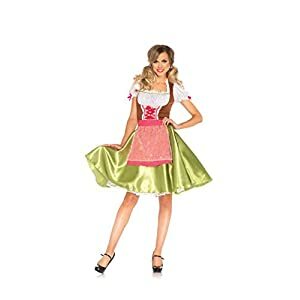 Includes ruffled apron with bow and hair bows.